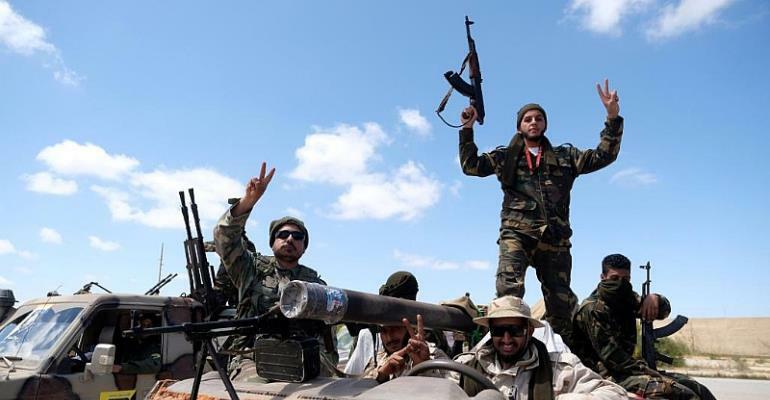 The Libyan National Army (LNA) forces headed by Colonel Khalifa Haftar launched an air strike in southern Tripoli on Sunday, according to witnesses and various wire agencies. There are no reports yet of the number of killed or wounded, but the United Nations has called for a two-hour truce in order to evacuate civilians and those who may be wounded or dead. The LNA said it has reached the southern outskirts and has taken the disused international airport, 24 kilometres from central Tripoli, but GNA military reportedly refuted this. Pro-GNA forces spokesman, Colonel Mohamed Gnounou said a “counteroffensive” had been launched, adding that Operation 'Volcano of Anger' had begun “purging all Libyan cities of aggressor and illegitimate forces,” referring to Haftar troops. According to reports, this air strike came one day after the GNA launched air strikes on Haftar's forces, including the LNA position south of the capital. “The security realities on the ground in Libya are growing increasingly complex and unpredictable,” said Marine Corps General Thomas Waldhauser, head of US Africa Command. “Even with an adjustment of the force, we will continue to remain agile in support of existing US strategy,” he added. Tripoli civilians were reportedly queuing outside petrol stations and supermarkets, according to French newswire AFP. At least 23 civilians have been killed since Thursday, but numbers do not reflect the Sunday air strikes.